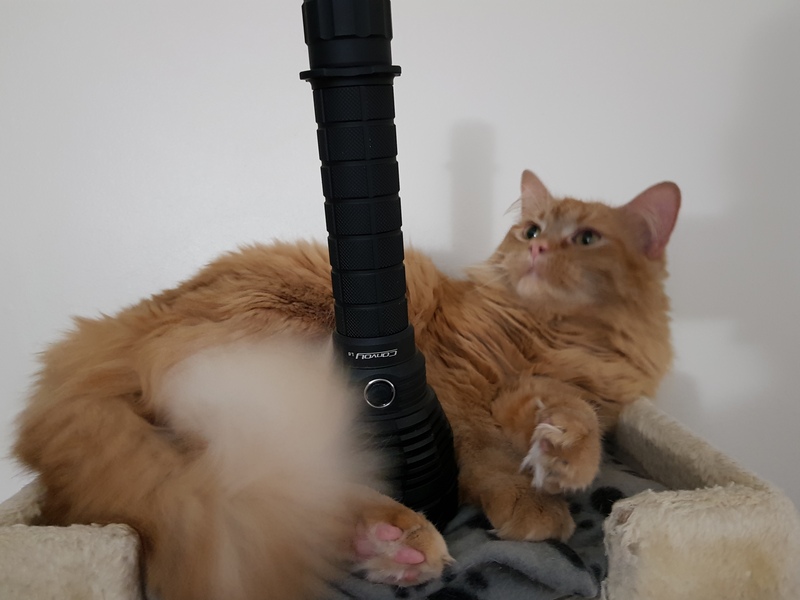 My first “serious” flashlight was the Q8 and which led me to this forum. For me, it was “new” but it appears to be a few years old now. So as time marches on, is it time for the next generation of the Q8? Q10? Quantum? *USB recharging …particularly for those who would have to buy a new charger to accomodate the 21700 length. Obviously next gen can’t be 10%, at least double and preferably 3 times the current 5000 lumens. That wouldn’t be possible, especially for a 60$US starting price. 1. You’d need a 100W+ boost driver with NarsilM to power XHP70.2s, and components, along with R&D, would cost a lot more than the simple 7135+FET driver of the current Q8. 2. You’d lose a LOT of throw by going the XHP70.2 route, and the tint, and tint shifting, would be very bad. Color rendition? Let’s not talk about it. 3. The power dissipation would be limited at 100W+ compared to the 50W+ currently used. 4. The light would actually be longer with 21700s compared to 18650s. 5. The cost of 21700s are still higher per Wh compared to 18650s, and aren’t as easy to find. Still better than 26650s though. Overall, it really wouldn’t be a Q8 anymore. More like a Haikelite MT09R with USB charging. And the Q8 isn’t 2 years old at all. It’s about 1,5 year old. Same issue as above probably, 15000 lumens would “only” be about 36 amps, that’s 9A per cell which is fine but the driver is going to be an issue. You’re probably better off using 6 or 12v versions. Why 6 leds? The thing is going to set the moon on fire! I hope this project will work out! I think that the advantage of the Q8 over all other multi-thousand lumen lights is that it uses hard driven small size leds (XP-L or XP-L Hi) in relatively large reflectors. Therefore it has some serious throw (65kcd) compared to the other sodacan lights out there (Olight X7, Fireflies ROT66, Astrolux MS18 etc., all with less throw). The 5000 lumen combined with the throw makes it stand out. All the plans that I hear here (more/bigger leds, smaller reflectors) are giving the Q8 more lumens but considerably less throw, and the Q8 will be more like all the others. The only advantage leftover would be that it is cheap which is not what I wish to be the Sofirn’s only quality, we already have Astrolux in that segment. If the Q8 should continue in what it does best, it should keep using 4 hard driven small leds in those relatively spacious reflectors, I think that the Sofirn Q8 with the XP-L Hi leds was a good successor to the BLF Q8 for that reason, and the SP36 is a nice spin-off too with still some good throw. Maybe a Osram Oslon Boost HX version (6500 lumen, 120kcd throw) is a worthy next one. The reflector of the Q8 can also be optimised a bit more (slightly wider and deeper, bit more overlap and extending to the very edge) to become more throwy. Why not SST20? In same reflector SST20 gives 20% more throw than XPL HI. SP36 with 3 × 18650 is good format. It is more pocket friendly than Q8. Just need some more throw. Because a 4xSST-20 Q8 (cool white high output bin) gets you 4500 lumen max, while the HX Boost gets you 6500 lumen with even more throw. Admittedly the SST-20 does come in every tint and CRI thinkable and that is of course a good reason to go for it. And it is already there while the Boost HX is still in the pipeline (at least for us poor budget hobbyists). Combination of XHP35 with relatively deep reflector in center and 7-9 STT20 with TIR optic around it is also good idea. But will need big head. Minimum 7cm. I agree, Q8 was a great time at the time of release and it still does. There’s a space for many soda can lights and we could do a few more. These wouldn’t be the next-Q8 but rather something to cover a somewhat different niche. Another flashlight with s huge head does not appeal to me….or maybe others too. The Q8 may be “throwy” to some but to me, it’s the perfect balance between throw and flood. As an outdoor security light, it’s perfect. Let’s face it, most of us aren’t patrolling 2000 acre ranches, more like suburban homes with the need to flood the area and see out to 300 feet. Also, 5000 lumens to 6500 lumens is a waste of time. The human eye can barely make that comparison. Double is absolute MINIMUM. The size of the Q8 is just about perfect. Small enough to be in a handy place and carry, big enough to put out huge lumens. I’m not grabbing the BLF GT brother to investigate a noise or carry as an emergency light in the car. So the challenge would be 3 times as much with very little size difference. 3x XHP50.2 3V with all bypasses, you can do the mod yourself with the Led4Power Q8 board, you get 12,000+ lumen, floody, ugly rainbow beam and an incredibly fast heating flashlight. Why would I want to do that and not buy another light? Sure, we can make any light ourselves, so why bother buying new lights? Or why bother asking Sofirn to modify lights for ever tinier niche markets? The idea here is to take advantage of next gen batteries and up the output…..for a reasonable cost. Not without completely sacrificing beam intensity by using larger/more emitters, and also demolishing your runtimes due to heat and battery drain. So you might have double the output but no more throw and you cut the time you can run at that level down significantly. Just look at something like the MT03 or MT09, those are as big or bigger than the Q8 and have turbo times similar to the D4 due to the heat. Absolutely “burst” modes. I think 3×18650 format (or option to swap on a single 26650 tube? ), Anduril instead of Narsil, USB charging and other emitter options are the only real changes that could improve on the Q8 right now and the SP36 already has at least two of those covered. I’ve heard modding it is harder though, Sofirn could certainly work on that. SP36…but 5000 lumens to 6000 lumens is negligible to the eye. Heat and battery drain is what one makes of it. I’ve used the Q8 twice for emergencies on about 3 months. Full blast for 3-4 minutes. By definition, emergencies like investigating a break in are short affairs that need maximum light. Emergencies like power outages are covered by powering down. 18650s can’t match 21700. I have to check it out, but I’m pretty sure 3 21700 are smaller diameter then 4 18650s. As you said, there is the SP36, the next light on my buy list. But then, I want the bigger, next gen brother. So, if we want to kept head size and have same throw but more lumen should use 4 x XHP35. What about 6×18650 in 2s3p ? As far as using a few large emitters with higher power, check out Haikelite. 4x XHP35 HI is interesting, and I can't think of competitors off the top of my head. Driver will be interesting, though. Could elevate soda can to coffee can, and do 4x 21700 and maybe an extra XHP35 or two... But nobody wants to hold that. As it is, the Q8 hits a really nice spot for practicality as well as sustained output. I feel like any brighter is just 15-second show-off mode. The other nice thing about the Q8 is how easily modded it is, especially with Led4Power's board available. Your skills are fine. You miss some space between the cells so you can actually insert them but the conclusion is correct. So, if we want to kept head size and have same throw but more lumen should use 4 x XHP35. Or, I am wrong. What would we be looking at lumen-wise? Goggle “circle packing”. 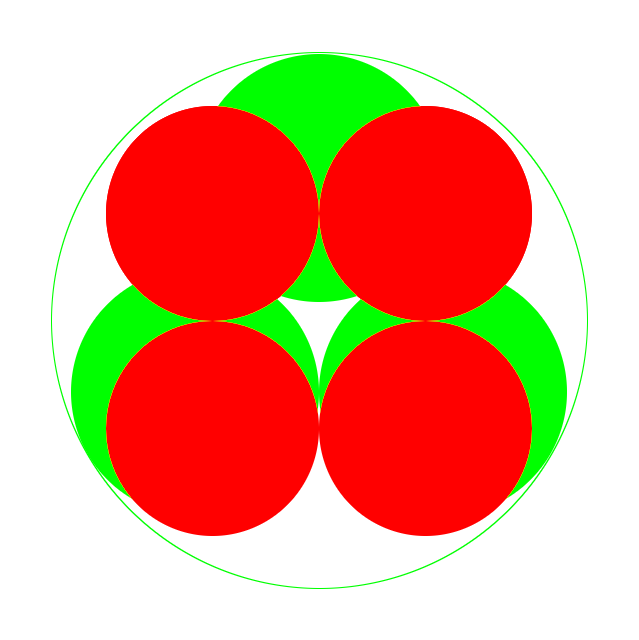 3 circles in a larger one has a lower “packing density” than 4 circles in the same-sized larger one (65% vs 69%. respectively). So 3×21700s would just about fit the same size can as 4×18650. Okay, so 4000mAH for 21700s (12AH total), vs 3000mAH for a decent 18650 (umm, also 12AH total). It’s a wash at best. Lots easier to find 4 18650s than 3 21700s, and I’m not even sure if the latter comes in buttontops. So one of the issues of using XHP35 leds is they only come in 12V, right? Not if we have 4×18650 in serial connection. Having more lumens is great, but not if they don’t go where you want them to. Any increase in emitter size or number will lead to a floodier beam, unless the reflectors are made proportionally larger too. I don’t see the benefit unless you want more floody lighting (there are options for that already) or bigger numbers on the spec sheet just to have them. Any successor to the Q8 needs to be have practical improvements on the positive qualities the current model has IMO. I was looking Samsung 48G 21700 4800mAh. 14400mah available. I think there is also some 5200mah batteries. Above the best 18650. The 21700 is not mandatory, but it’s the latest size for high volume. In a flashoholic forum, I’m suprised on the amount of why instead of the why not! If we can land a man on the moon….Shirley we can come up with a better soda can.